The Lookout is one of many Nock Co pen cases that I own but it has become my personal favourite. 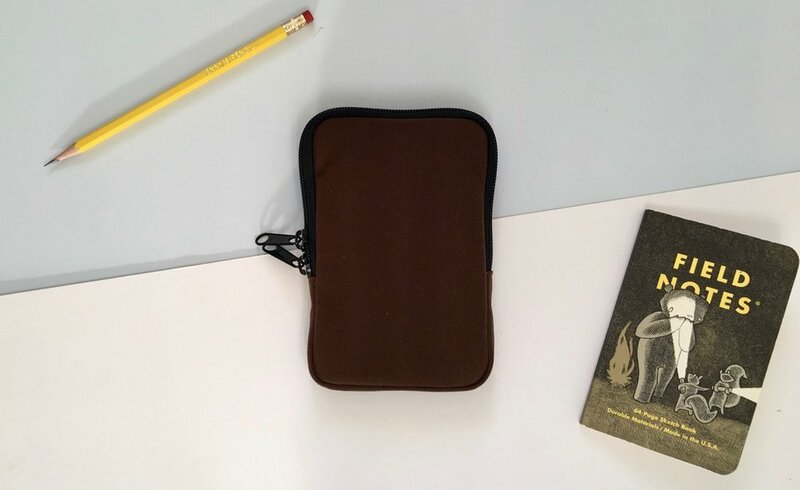 This case suits the way I use and carry pens far more than the other cases I have (which are the Hightower, the Fodderstack XL and the Chimneytop). The Lookout is a simple 3 pen carry case and like all other Nock Co cases it's made from durable nylon. It's also waterproof providing your pens with an extra layer of protection. The idea behind the Lookout is that your pens are kept securely in place allowing you to carry around your prized possessions care free. The design of the case means that your pens won't knock together and cause any sort of damage. I was surprised by the Lookouts size when I first received it because it is so slim. The bonus is it doesn't add too much bulk to your essential stationery everyday carry. I bought the Lookout because it was a 3 pen carry case. I didn't want anything too big, I needed something that I could carry in a range of different bags and this fit the bill. Not only does this go into my work laptop bag but it also fits comfortably into an average sized handbag without taking up too much room. I have the Midnight/Blue Jay colour combination and I love it! The Midnight exterior is dark enough that it doesn't show up any marks or look grubby. And then that gorgeous bright, vibrant Blue Jay interior provides a really nice pop of colour! The contrast between these two colours is really nice. I like the fact that Nock Co have been brave with their colour choices, although it does make it hard to choose once you're ready to buy. The Lookout is not a pen case I use on a daily basis. I use this case when I'm away for a short period of time or when I go into the office (which is rare). I load mine up the 3 pens I'm using most at that time. The 3 pen load works fine for me for these short periods and the Lookout has become one of my go to travel essentials. I think if I was travelling for longer periods and wanting more fountain pens with me then I would need something bigger, such as the Brasstown which also has the added benefit of storage for pencils, erasers etc. The Lookout, like other Nock Co cases, is well constructed and great value for money. It will set you back $20 plus shipping which I think is a total bargain. 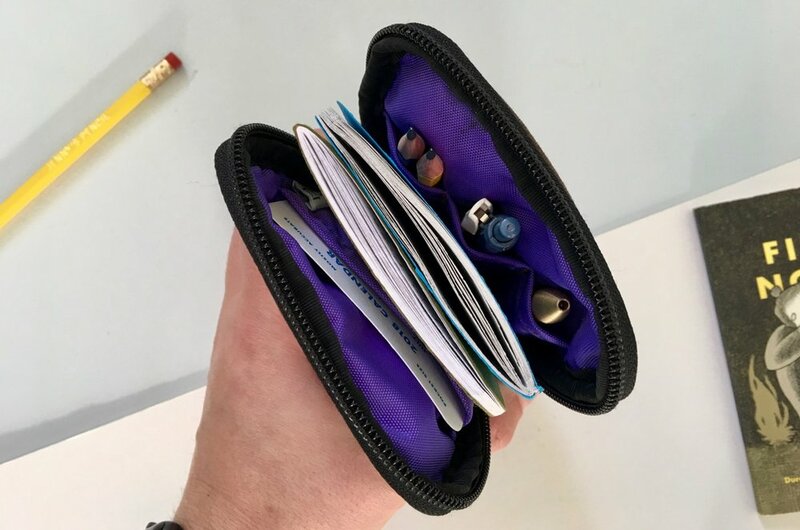 Nock Co have created a range of lovely pen cases that have kept the pen user in mind throughout the design process. If you are looking for any sort of pen case I would highly recommend Nock Co, they're a great choice.